Draw an oval and a line at the bottom. The line should be distanced away from the oval by a little more than half of the oval’s vertical diameter. In other words, a little more than the oval’s vertical radius. Then draw the bottom lip which should be above Line 3. I just wanted to tell you that YOU ARE THE BEST!!! Your tutorials are just GREAT! Really! I and my 12 years old son enjoy them so much! They are so easy to follow and suddenly to create really beautiful drawings! Where can I send you some examples of before and after your tutorials? Me gustan mucho tus dibujos y tus clases. Podrías incluir retratos de personas de Asia, África, Latinoamérica y otras regiones del mundo? hay mutaciones fenotipicas y genotipicas que resultan interesante a la hora de hacer retratos y plantear toda la diversidad de la raza humana. Gracias! I wanted to get the PDF link so I could print this out for my 11 year old to try. I did what you asked; clicked on Facebook and shared, but nothing. Then I clicked on Google+ and nothing again! Very disappointing. Thanks so much, I have needed this tutorial for quite some time now. I have definitely improved with this type of art and I now have a sense that I can learn to do something with the right instructions. Thanks again for your wonderful technique. 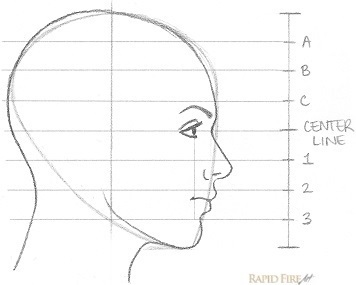 Can u please tell how we can come to know by viewing the refrence pic that where is the circle drawn and how low the chin line should be made and where the nose line should be. 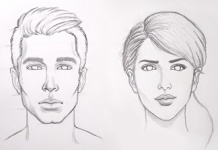 Hi Asad, this tutorial is for drawing faces in general. The portrait drawing process is a completely different thing that I will cover in a future tutorial. 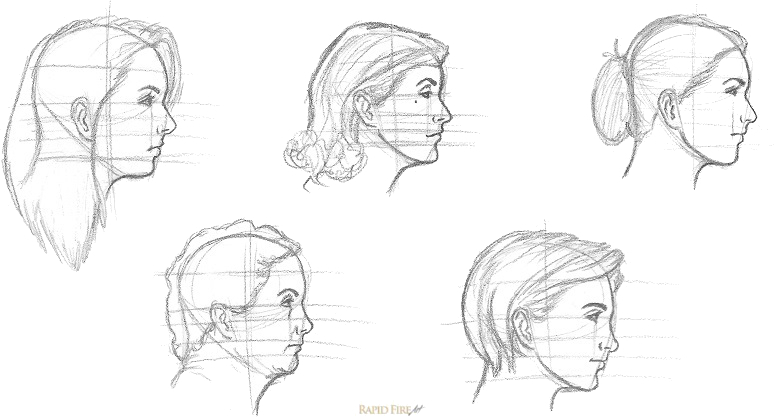 Portrait drawing requires measurement techniques such as the ones in lesson 4 from my beginners’ course. can you send hair tutorials ?? Thanks! Here are two hair tutorials: Ultimate hair tutorial, Short hair. I love this!! Its sooooooo easy to learn. You r awesome!!!! Thanks for your feedback Shay! god bless you . your method is very simple , easy , useful and unique . Wow thanks these tutorials are great and easy to follow! Wow! your way of teaching is superb..and i’m learning new tips and tricks every time. Great drawing tutorials for art students to follow.